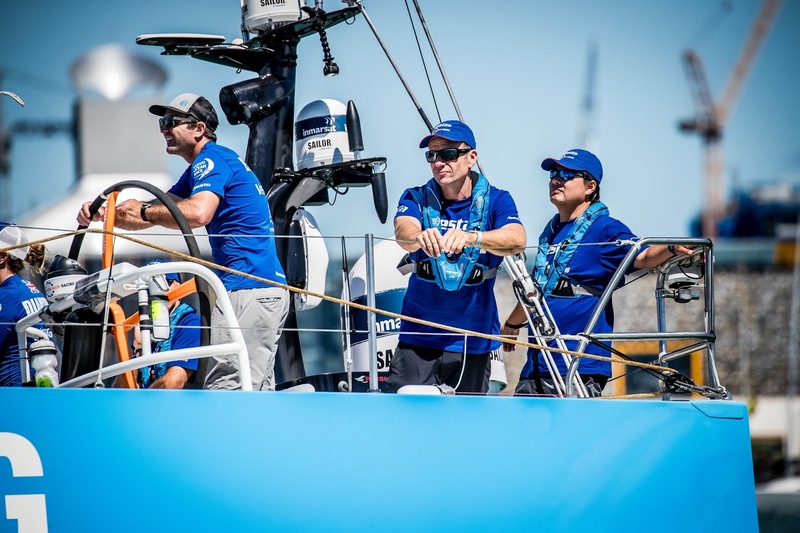 The Auckland layover has given Vestas 11th Hour Racing time to recover and regroup after their tragic collision in the latter stages of Leg 4 during the final approach to Hong Kong.The team is in 5th position following the incident and co-skipper Charlie Enright, is anxious to get back in the race. 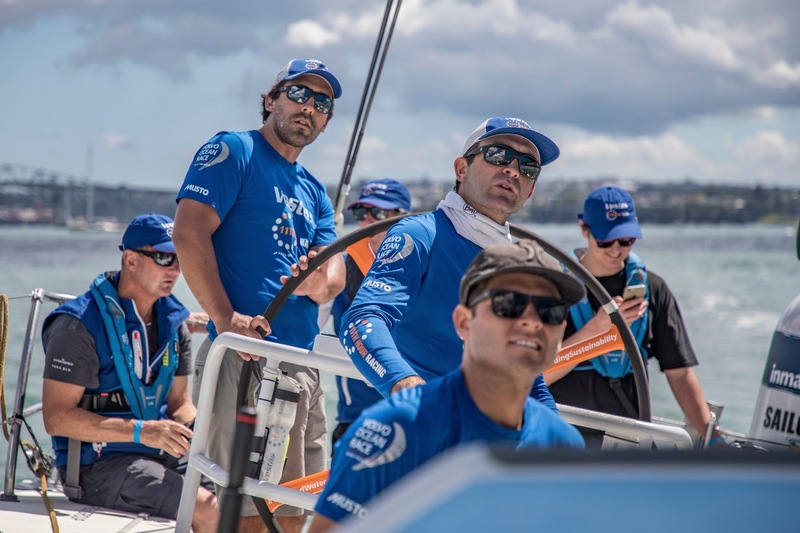 Catching up with Charlie in Auckland, he says his team is - cautiously - ready to for its next meeting with the Southern Oceans. How has the team recovered emotionally from the Hong Kong incident? CE: Physically it’s easier to discern – the boat’s in great shape, it’s nothing short of amazing that the repair was coordinated in such a short amount of time and the level at which the boat came out – everybody’s ecstatic with it. It looks like there'll be a couple of windy first few days out to the east cape (of NZ) so hopefully the boat is pretty well tested by the time we get there. On the emotional side, I trust our team more than any other team to deal with something like we went through and come out of it stronger. I’ll be able to give you a better answer on that when we get to Brazil – there’re all kinds of emotions with regard to being back on the boat again – anticipation, excitement, there’s probably some unspoken nervousness, but I think that’s all natural but there are no red flags and we’re all ready to go. We’ve done all the right things – it’s time to go sailing! While you weren’t present at the time of the accident, as skipper what did you learn from the experience? 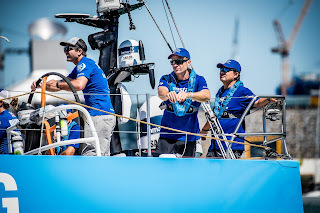 CE: It’s tough to say because the situation continues to evolve, and especially not being part of it in some ways was difficult because – as it should be – a shared experience for the team. There’s no right or wrong way to deal with something like this - it’s a big team and everyone deals in their own way so I think to provide unconditional support and understanding as best you possibly can is important but at the same time you have to know what everyone will deal with it in a different way – give people the space they need. It’s been a bit of a tightrope walk, that’s to be expected. CE: This is the leg we all sign up for – this edition has more Southern Ocean miles and those are real miles from Cape Town to Melbourne, so if the forecast is anything like that, it should be pretty relentless. It looks like it’ll be a little colder on this leg though which is kind of ironic since there’s not a lot of ice as the ice gates are further south which means we can go further south…we’ve got that to look forward to! 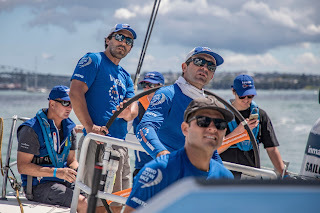 We do the race for competition and adventure and this is definitely on the adventure side for sure, but sometimes you lose sight of that when you’re crossing the equator and bobbing around and you’re just thinking about the competition but this next leg is pretty special. It's pretty relaxed around the docks - how's the intensity prior to Leg 7 ? CE: For us relative to the last edition of the race, the intensity has ratcheted up – with experience comes expectation, right, so we’re looking at this race through a different lens but I can definitely see how walking around the village it may be a little different to what you may expect. It’s a probably a product of there being so much intensity on the water and having to keep it 24/7. That being said, with the one design format, there’s a lot less secrecy and more camaraderie among the teams. We definitely have a lot more experience on the team this time and that’s proved to be a valuable thing as you can probably imagine. But we have a good mix of youthful exuberance with also some gray hair – we have a little bit of everything in all the key positions. The vibe and dynamic for us has been very strong even through some very difficult circumstances. How's racing been this edition? CE: It’s closer than it was last time because you have folks from every single team sprinkled among this iteration’s current teams. Whatever “secrets’ everybody might have had are all kind of distributed among all the teams this race. It’s all close. I think we had a lot of people who sat out the last race as they weren’t sure about the one design concept. I think after seeing the tightness of the racing, they missed it and we’ve seen a lot of those people back. Your thoughts on the one design aspect? CE: Personally, I think it’s great because it’s what allowed us to compete in our first edition – we were literally over our heads as it was and added to that a boat build and the campaign cost would be twice as much. 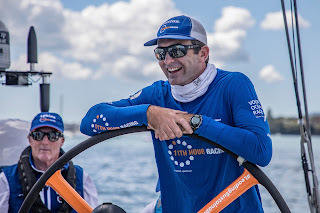 Tony Mutter on our team has won the race twice on boats like ABN AMRO and Ericcson 4 and I think he’s enjoying the close racing although the boats are certainly not what he’s accustomed to sailing because this one design racing is tight. While the boats have got a bad rap, I think they nailed the design brief on this one – we’re doing 550+ miles in a day, they do down wind really well. Who are you chasing at this point? CE: Everybody – in the last campaign we won the last leg, and in this campaign we won the first leg so that kind of tells you what expectations we’re up against. 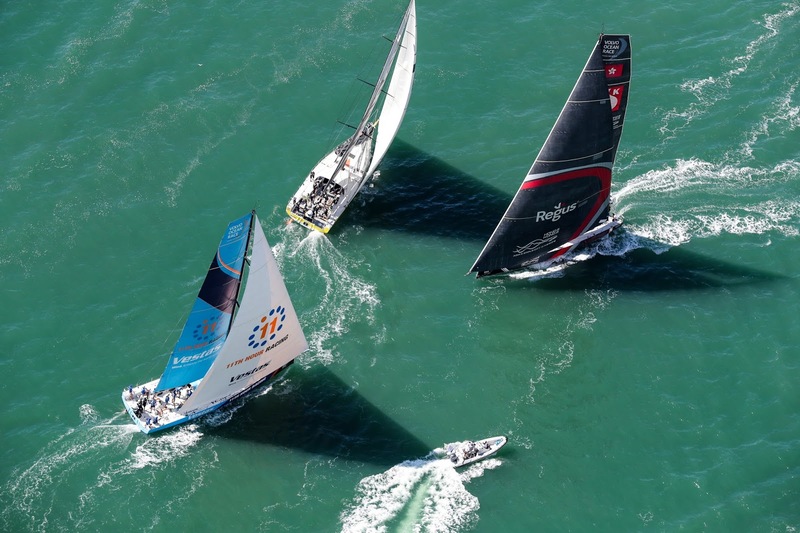 If everything had gone to plan, we would have sailed into Hong Kong 2 points off the lead. That’s not where we sit today but it doesn’t affect our perspective on the leader board. We view ourselves as one of the more consistent teams and that’s what we’re trying to do. Anticipated days to finish this leg? CE: About 19 days, just in time for my dad’s 60th birthday!